Eleven months ago, 17 students and staff were murdered at Marjory Stoneman Douglas High School in Parkland, Florida. Five months ago, students returned to the school, craving normalcy but with the knowledge that their lives had been violently altered and nothing would be the same. HBO’s documentary, Song of Parkland, aims to showcase the successes of the Parkland community in the wake of the tragedy by chronicling the school’s theater production, and the dedicated students who returned to the play they had begun rehearsing before the mass shooting. 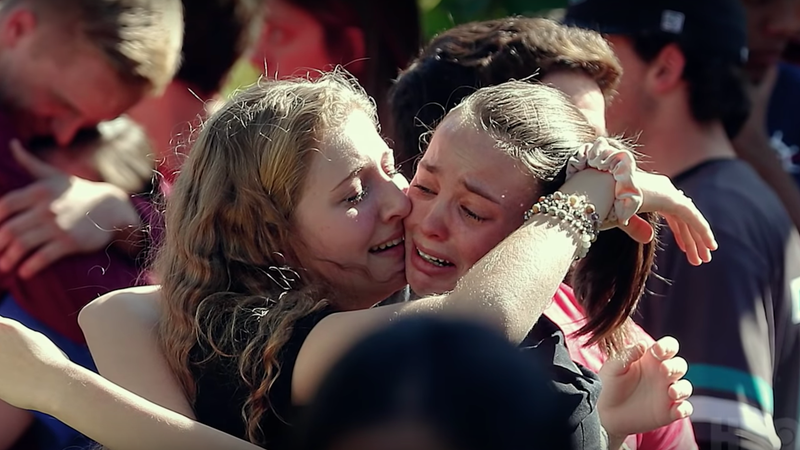 According to Indiewire, the film “features Stoneman Douglas drama teacher Melody Herzfeld as she rallies her class to finish the show they started” and “also follows a number of Stoneman Douglas classmates as they became prominent activists throughout the rest of 2018.” Judging by the trailer below, the doc emphasizes triumph over tragedy, how working together can create something productive, or, as one student simply puts it in the teaser, “We had to finish this to show our community we can move on.” The doc seems to hit a tone of unrelenting, necessary optimism, likely meant to appeal to middle and high school students across the country. Song of Parkland will premiere February 7 on HBO, one week before the one year anniversary of Parkland.